Conferences are always more fun with a friend, or 2... or 4!!! 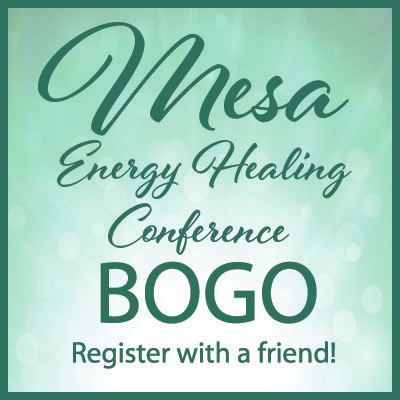 We'd like you to bring your friends and loved ones with you to the Mesa Christ-centered Energy Healing Conference! Register today, and use promo code BOGOMesa when you register in multiples of 2 to get your tickets at our special Buy One, Get One deal! Online Registration is now closed. However, we welcome you to join us today! Register at the door for just $20!!! For more information regarding presenters & classes, click here.